In my family, dried hibiscus flowers have always been used for making tea. I like it, but I haven’t thought it is something special at all. Well, evidently not before I discovered the magic tastes of the Caribbean. The amazing thing is that, if you visit the ‘opposite side’ of our planet, and spend some time in Nigeria, you will discover a similar beverage there, a popular Zobo drink. This fantastic herb drink is regularly served as a tangy Christmas punch in almost all islands in the Caribbean region, especially in Jamaica. With a rum cake on the table, this incredible beverage becomes a real basis for a solemn feast. 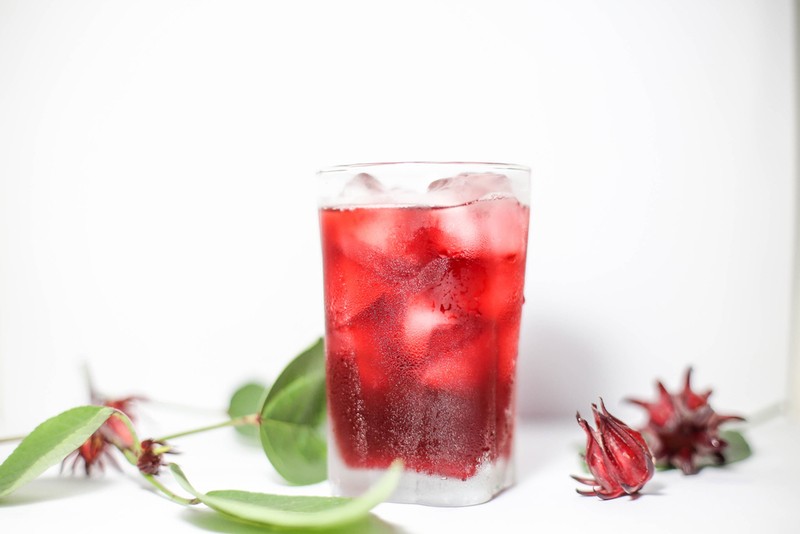 If you are a fan of traditions and exotic flavors, sorrel can be a perfect choice for you. Let’s try to make the perfect one! Probably native to West Africa, Roselle (Hibiscus sabdariffa L) has two distinct varieties, red and yellow. Hibiscus sabdariffa (var. Altissima Wester) – This annual plant, high up to 16 feet (4.8 m) with yellow flowers, is cultivated in India and Nigeria. Sometimes, it is possible to find it in tropical America either. Hibiscus sabdariffa (var. Sabdariffa) – This short, bushy form of this plant with red flowers originate from Northern Ghana. Keep in mind that this plant is widespread all over the globe, but don’t confuse sorrel with the hibiscus flower. They are not the same. In the Caribbean, it is merely – Sorrel! Regardless of its names, which are often associated with the flower, keep in mind that you can’t use flowers of this herb, but the calyces. The results of some researches, carried out at Jamaica’s Northern Caribbean University, show that certain types of sorrel, which grow on this island, boost the immune system and can be beneficial for patients suffering cancer. 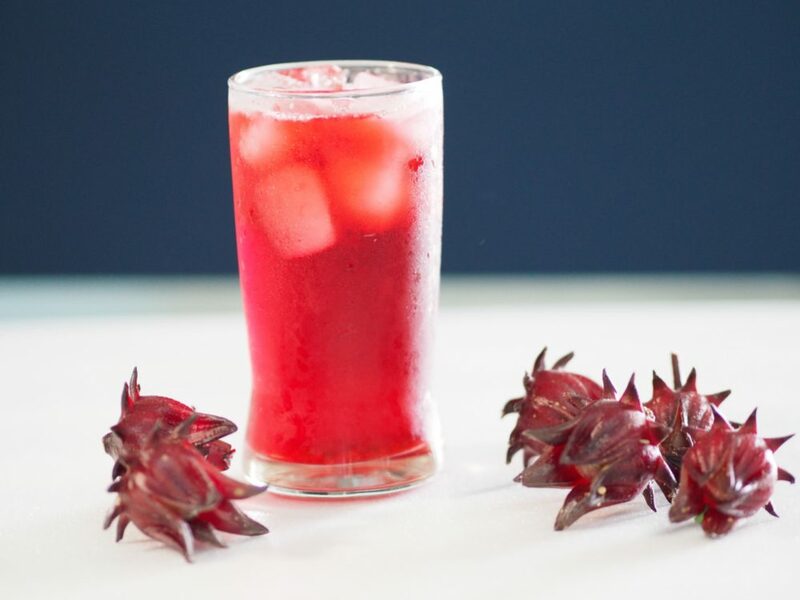 Sorrel is definitely the most popular Christmas and New Year ruby red, cinnamon-spiced, floral beverage in Jamaica. 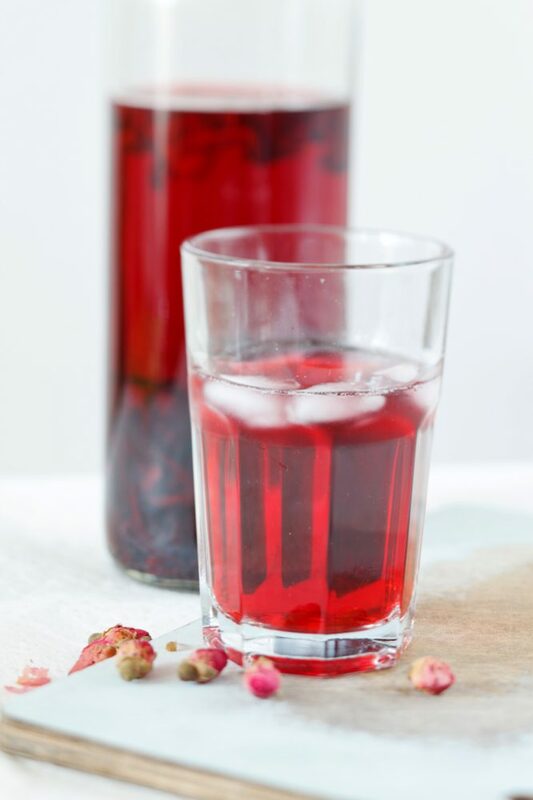 In the US, this delicious Caribbean Christmastime sorrel became popular in the 30s, when Caribbean immigrants came and brought their traditional drink in the country. If you have ever had an opportunity to try ‘Liquid soul’ (an African-American red drink), you will be surprised how similar these two beverages actually are. When I tried this unusual liquid for the first time in my life, it tasted to me as some weird, refreshing lemonade because of its strong, acidic flavor. However, all these spices give this drink a unique, cheerful form, and that fantastic color makes it a perfect choice for special moments that Christmas and New Year definitely are. 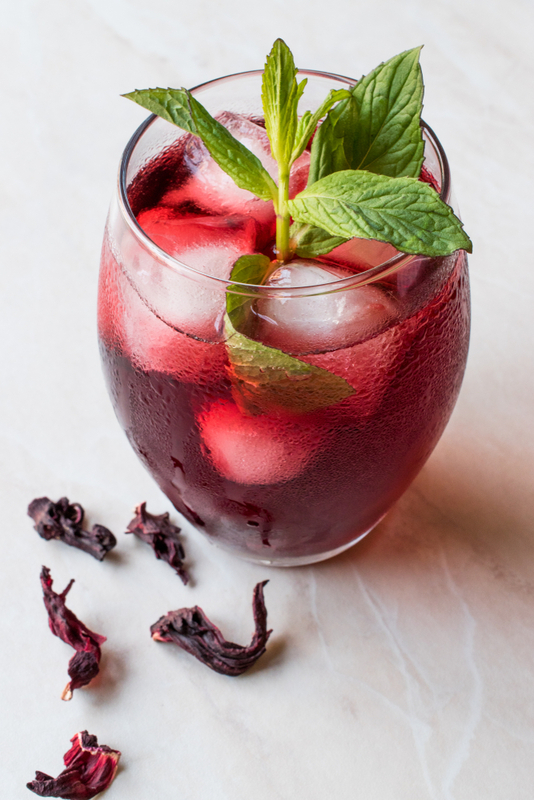 Don’t forget to add some rum (or wine) in your Sorrel drink if you want to get a true festive Caribbean beverage! Thanks to colonial history and generally accepted British customs, there is a strong Christmas tradition of punch throughout the Caribbean. The people in this area adapted these old customs to their culture and preferences, and they invented their own punch varieties, characteristic for each individual island. I will show you a few traditional ways of preparing sorrel drink in Jamaica, Montserrat, Barbados, St. Lucia, Guyana, Saint Kitts and Nevis, Antigua, Grenada, Trinidad and Tobago, and Dominica. They are pretty similar, but the secret is in the details. Whichever option you try, be sure that you won’t go wrong. In fact, these are just ‘variations on the same topic’, and the difference is only in the spices you add in this drink. 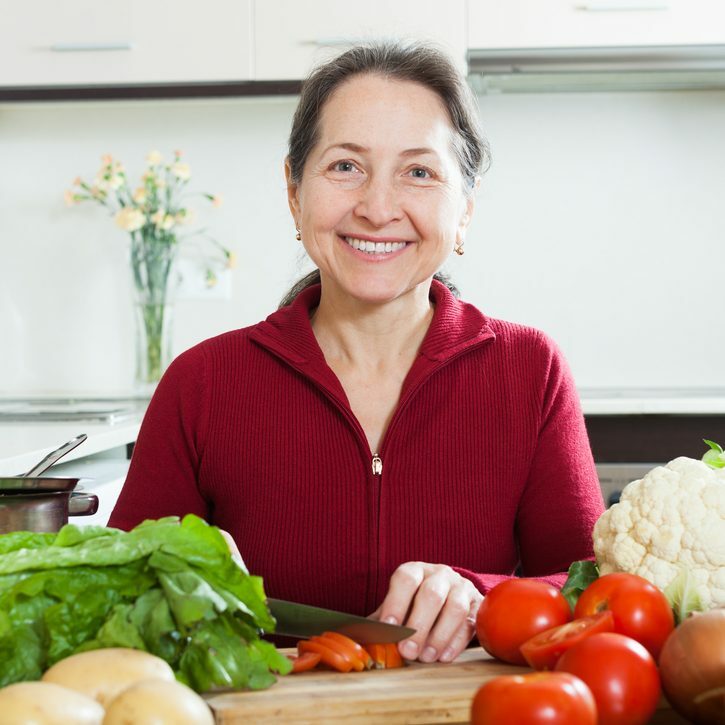 At the very least, you can always try a few recipes and choose the one that you and your family like best. One more thing! 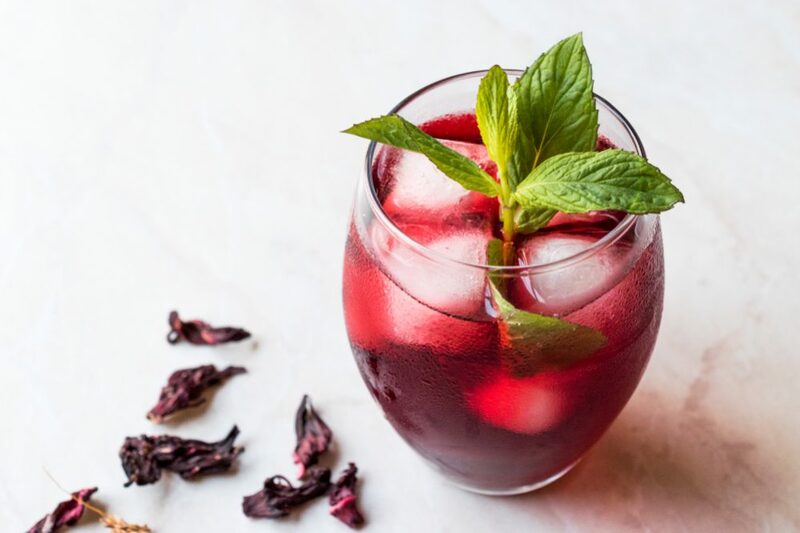 Always keep in mind that it is possible using fresh calyces for making this drink, but dried sorrel petals give stronger beverage than fresh ones. To make this delicious drink by using this recipe is pretty simple. All you need are patience and goodwill. Start by removing out the sorrel calyces, put them and other ingredients in a pot, and heat it until water boils. It is always better to double strain the liquid to remove any waste. Cool the drink and add some sugar to taste. The tradition is to use brown cane sugar, but any sweetener is OK. Pour the cooled drink into a tall glass, add a lemon (or lime) slice and crushed ice, and your festive drink is ready to serve. If you need this drink to stay in a fridge for a couple of days, you should double up the number of sorrel’s calyces. That way, you will make a concentrate prepared for use as needed. The only thing you should do is to add water and sugar in it, and the drink will be prepared in a few minutes. 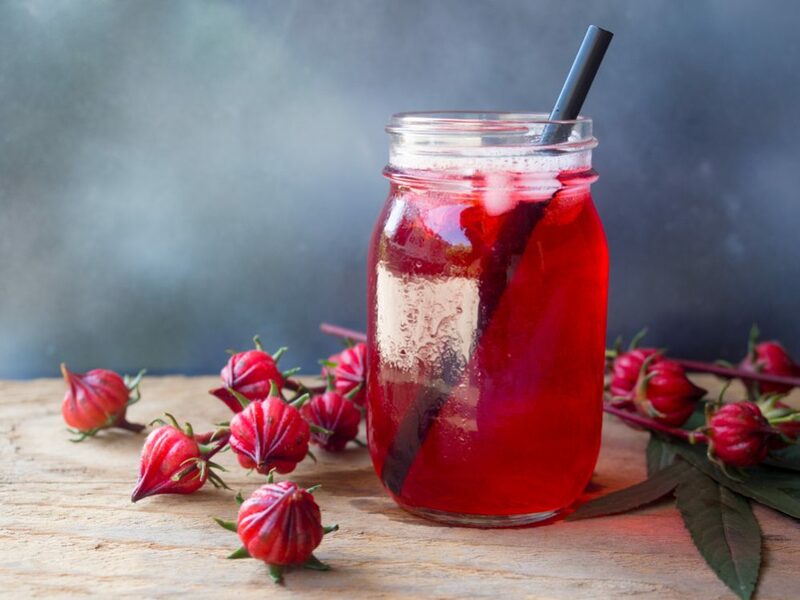 You need approximately ten minutes to prepare real Caribbean’s sorrel drink and an additional ten minutes for cooking. However, the whole process of preparation should last a day to get a desirable taste. Bring to boil water and be sure that all sugar has dissolved. Add sorrel, ginger, lime, cinnamon stick, and allspice berries, and let it boils once again. Let the water cool, pour it to the bowl, and put in a fridge overnight. That way, you will get a potent flavor of your drink. Before serving, strain beverage to remove any waste, add rum, simple syrup, orange slices, and ice. The best thing is that the total number of calories is only 122 kcal. Boil the water, sugar, sorrel, and ginger in a pot for about ten minutes. After removing the pot from the heat, stir the cloves, orange peel, and pimento berries in it. Let it cool down, pour the drink in the glass bowl, and put it in the refrigerator overnight. Strain the mixture before serving, add wine (I like to add one cup of wine) and ice, and let your guests enjoy. Although you are not from Jamaica, you can create a festive atmosphere in your home by bringing a bowl of this great drink on the table whenever you want. Change the spices, taste intensity, and the level of sweetness, and you will get an entirely different drink every time you make it.